(SPOT.ph) From the lips of the Italian film legend Federico Fellini came the words, "A different language is a different vision of life." And so we shall be given a fresh set of eyes as we look into the different facets of both old and modern Italy (and a little bit more) in Moviemov 4: Italian Cinema Now, a film festival organized by Playtown Roma, in collaboration with the Italian Embassy in the Philippines, the Italian Ministry of Culture, and the Italian Chamber of Commerce. Realizing the palpable similarity between Italian and Philippine cinema, festival creator and director Goffredo Bettini aims to highlight our shared love for the beauty of life, the festive nature of our customs, and our undeniable affinity towards culture and art-envisioned through seven of the most successful contemporary Italian films today, screening from July 23 to 27 at the Shang Cineplex. As an added treat, three of the works of respected Italian film humorist Ettore Scola will be featured in his own showcase called Classic Retrospective. Also, a special charity project to support the children of Smokey Mountains will be featured in the form of a short film-A Tutto Tondo-by Italian actor and debuting director Andrea Bosca. 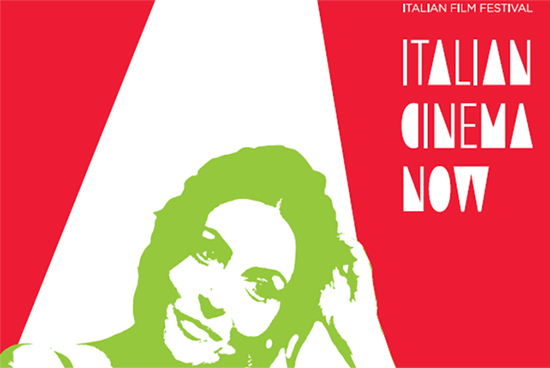 A set of culturally rich Italian films considered as the most successful this season. Director: Paolo Sorrentino | Running time: 142 mins. What's it about: An aging socialite turns 65 and walks the streets of Rome reminiscing his colorful life and the people he's encountered along the way. In the midst of his reflections, the decorated novelist and respected art journalist gets dogged by the question of why he has never written another novel since the success of his first one. Good for: Deep contemplation about life. Winning this year's Academy Award for Best Foreign Language film (Fourteenth for Italy, first for Sorrentino), this Fellini-esque meditative drama might very well be the most decorated and critically acclaimed movie of all the contemporary films featured in the festival. It showcases Sorrentino's fluid, almost dreamy directing style that captures Rome with glorious nakedness-as seen through the eyes of a man longing for meaning in a city full of beautiful distractions. Director: Paolo Virzi | Running time: 109 mins. What's it about: After a road accident involving a cyclist on Christmas Eve, the lives of two families are permanently linked together in a devastating series of events. Told in three different chapters from three different points-of-view, this darkly comedic true-life Neo-Noir thriller (based on the book of the same name by Stephen Amedon) blurs the boundaries of love, family, class, and society. Good for: Lengthy conversations about the value of human life. Virzi's visceral attempt to tell a story in three separate vantage points creates a moral fog resting over the heels of a tragic event. Lots of discussions will likely ensue after the credits start to roll. What's it about: The often-clichéd idea of "opposites attract" gets used pretty much to its full extent in this tangled love story between two strikingly incompatible lovers nurturing a hidden love affair. Good for: Fans of the "forbidden love" sub-genre. It's crazy, steamy, and exciting. And it's the kind of love that we all secretly fantasized about but are too afraid to actually try. Hence, a film about it will suffice. Director: Carlo Verdone | Running time: 106 mins. What's it about? A wealthy, divorced businessman's life is turned upside down when his business empire takes a dismal dive, forcing him to re-adjust his finances. Such adjustments require him to bring in his son, daughter, and granddaughter to his home as he cannot pay for their respective rents anymore. Good for: Fans of family comedies. Director: Sydney Sibilia | Running time: 100 mins. What's it about: Inspired by the American hit series Breaking Bad, Sydney Sibilia's dark comedy chronicles the exploits of a recently fired university researcher who decides to live a life of crime and starts a drug business with his former colleagues. Good for: Fans of Breaking Bad. Expect a long line on this film's screening. Director: Massimo Andrei | Running time: 90 mins. What's it about: A jobless former stuntman tries to make ends meet with his sister as they try different odd jobs to sustain their daily living-which includes dressing up as a gladiator in front of the Coliseum for tourists to take photos with him. Their lives turn around, however, when an illegal immigrant from Belarus offers to work for them provided that they take him into their home. Good for: Laughter and a little bit of heart-breaking moments. Benur's comedic charm banks on the familiar feeling of being left out by society and the continuing struggle of illegal aliens abroad. Also, this film might also work well for a Hollywood remake. Director: Ettore Scola | Running Time: 102 mins. What's it about: Adelaide (Monica Vitti) forms a love affair with a married construction worker named Oreste (Marcello Mastroianni). Things run smoothly until the wily Nello (Giancarlo Giannini), a pizza cook, starts to seduce Adelaide and throws her love affair with Oreste into a topsy-turvy game of love, affection, and tragedy. This film was nominated for Palme d'Or at the 1970 Cannes Film Festival. Good for: Laughing and a bit of contemplation. This classic comedy brushes on the tragic nature of a three-way relationship and how a poly-amorous kind of love can often times lead to an explosive string of events. Still, expect a good dose of laughter from this one. Director: Ettore Scola | Running time: 90 mins. What's it about: Three friends, after fighting and forcing the Nazis out of Italy during the Second World War, forge divergent paths-only to find each other again, years later. Only this time, things are not as simple and welcoming as they expect. What happens next is a comedic journey of three men towards disillusionment, focusing on the sacrifices people had to face in post-WWII Italy. Good for: Chuckling and a good dose of thinking. Scola is a humorist and he doesn't create films for cheap laughs. This internationally-acclaimed film exemplifies the Italian director's powerful sense of empathy towards humanity when influenced by politics, intellectualism, bourgeoisie, and war-mixed with his crafty gift of comedic flare. He makes people think, then laugh afterwards. Director: Ettore Scola | Running time: 126 mins. What's it about: Set in an Italian restaurant, the camera moves from one table to another as people dine, discuss, argue, curse, laugh, and point fingers-all revealing different societal flaws present within each person inside the establishment; from the dinner tables to the kitchen countertops at the back. Good for: Snickering and a little bit of learning. The colorful and interesting characters alone underscore this film as a proverbial handbook when it comes to the cultural peculiarities of Italy and its people. Some good, some bad-but most are delightfully funny. Films that are especially targeted for younger generations, particularly schools and university students. Director: Fabio Mollo | Running time: 90 mins. What's it about: A spirited young lady travels to the tumultuous, Mafia-infested South Italy to unearth the truth behind the shady disappearance of her brother after her father vows a code of silence on the incident. Good for: Fans of family-inspired dramas and visually striking films. Fabio Mollo's moody visuals highlight Italy's well-documented gripe on the mob lifestyle and the silent distance that plagues families in our society today. Director: Daniele Luchetti | Running time: 100 mins. What's it about: Set in the liberated world of 1970s Italy, an avant-garde artist named Guido implodes after botching a career-defining group show in Milan. Largely seen through the eyes of his two sons, Guido's life goes on a spiral descent, while his wife is forced to find her own path towards self-discovery. Good for: Artists and art-lovers. Luchetti's humane peek into the art scene during the freedom-seeking 1970s dismantles the anatomy of an artist right down to the most aching truths. The film not only works as a primer to the art "industry" and art criticism, but also as a pensive look into the slow deterioration of a family-scarred by personal illusions and unrealized potentials. What's it about: With a title that serves as wordplay between an Italian phrase and the district of Tondo, Manila, A Tutto Tondo meshes together two distinct cultures through the encounter of a young and lonely lawyer with the jovial Filipino community in Rome. This film will be making its big screen debut in the festival. Movies will be screened for free on a first-come-first-serve basis. For inquiries, contact Shang Cineplex at 370-2500 loc. 597 or log on to EDSA Shangri-La’s Official Website and Facebook Page.